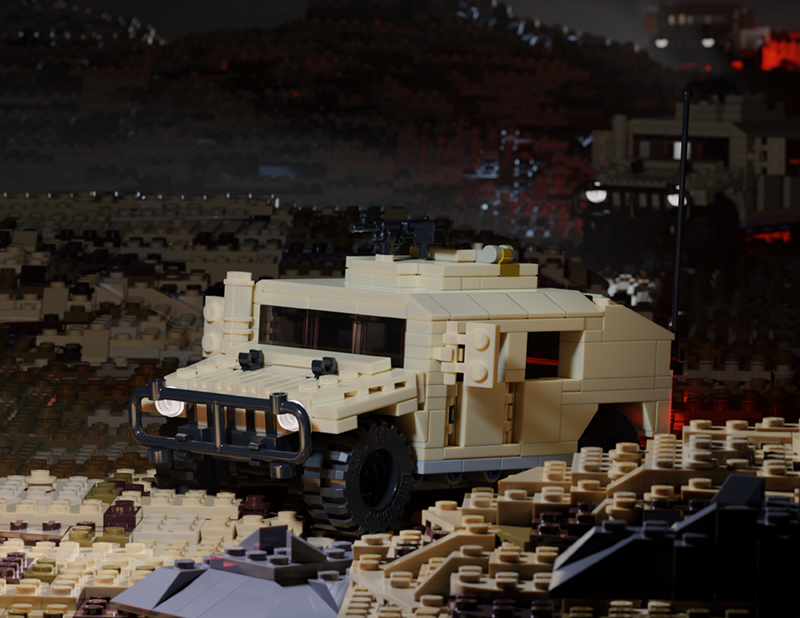 This add-on pack is designed to accompany the Brickmania M998 MEU HMMWV kit. Need to add some battlefield power to the Humvee? Upgrade to the M1025 HMMWV Weapon Carrier Add-on Pack! Equipped with a machine gun mounted on a rotating turret, you’re ready to provide convoy protection, perimeter security, and infantry support with the suppressing fire of the mounted combat LMG. This add-on pack features all the parts needed to upgrade your M998 to an M1025. The kit features the same iconic elements of the real M1025, including opening tailgate and hatchback, swinging doors, and rotating rooftop turret with entry hatch and BrickArms Combat LMG.